July and August means the Summer is almost over and it's time to start preparing for the new school year. Besides buying new school clothes and supplies, have you considered it's time to schedule your children's dental exams? Not to worry, the only "studying" they will have to do is brush and floss every day! Here are some tips and tricks to help your little ones take care of their teeth. Limit sugary snacks like juices soda, candy, and sticky "tacky" food like fruit roll ups. If your children do eat these snacks, make sure they brush or rinse after eating to wash the sugar away. You come into our office for a routine exam and cleaning and you're already expecting the worst. It's been some time since you've been to the dentist, you brush once a day and your flossing isn't so regular. You brace yourself for bad news... and there isn't any! In a perfect world teeth would stay pearly white, cavities could heal themselves, and we'd be able to eat whatever we want with no consequences! To take it one step further, dentists would be obsolete and we'd find time to focus on our passion for calligraphy and stationary. Glazer Family Dentistry turns one in Murphy, Texas! Glazer Family Dentistry is celebrating our one-year anniversary in Murphy! It’s hard to believe it’s been one year since we’ve opened our doors and started seeing patients. This last year has been a busy one of us. We’ve managed to earn “Best Dentist 2018” by the readers of the Murphy Monitor and have maintained our 5-star Google and Facebook rating- which is special to us considering how much most people hate the dentist. 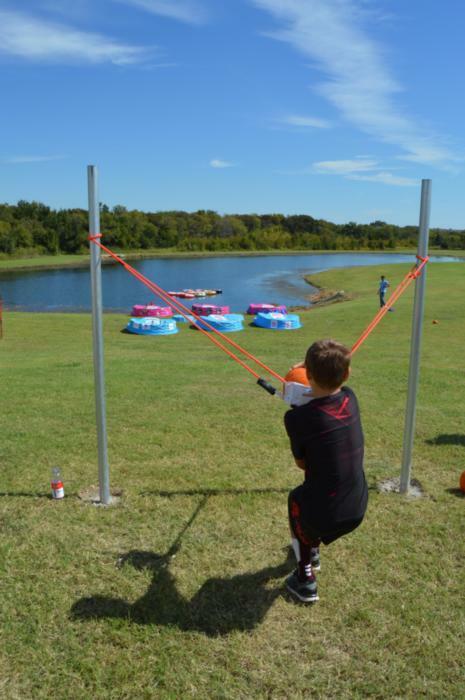 On September 30th, we participated in our first Murphy Maize Days. For those who don't know, it's an annual Fall festival the City of Murphy hosts featuring local business booths, family activities, live music and a firework display at the end of the night. We all had a great time interacting with the community by meeting the families of Murphy, answering questions and handing out give-aways. We look forward to participating next year. 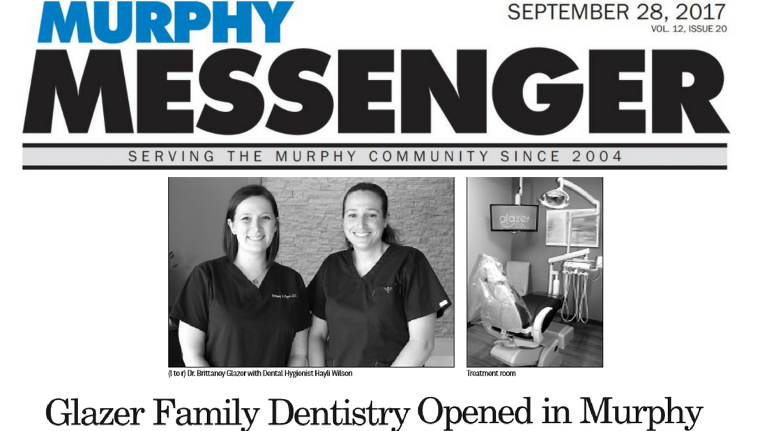 Glazer Family Dentistry was recently featured in the Murphy Messenger. How we are reaching out to the community. Read the article here (scroll to page 7).